Wednesday took us in a different direction on our vacation bookstore crawl, to Xenia, Ohio and Blue Jacket Books. We heard about this store when we reviewed another store in nearby Yellow Springs last summer. So it was time to see if it was up to the rave reviews of our comment-er. It was! 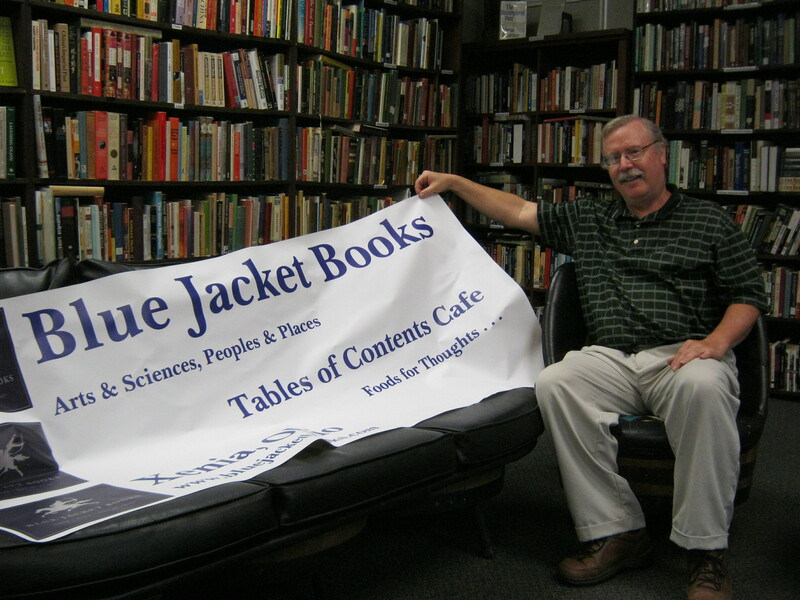 What impresses you the moment you walk into Blue Jacket Books is the friendly greeting from owner Lawrence Hammar. He will offer to assist you in finding books in whatever subject matter you are interested. He is able to do so. This is one of the larger independent used book stores I’ve come across in Ohio, with hallways, and side rooms and various sections devoted to every conceivable genre. As one walks straight down the hallway where you entered, you encounter beautifully bound books and first editions, local and Civil War history, further down American history, a sitting area with religious books and a back area being developed for his recently acquired Midwest Americana collection (8,000 books acquired from an Illinois bookseller in outstanding condition). Coming back up the hallway you will find on your left first the art room with an extensive collection of art books as well as books on music. 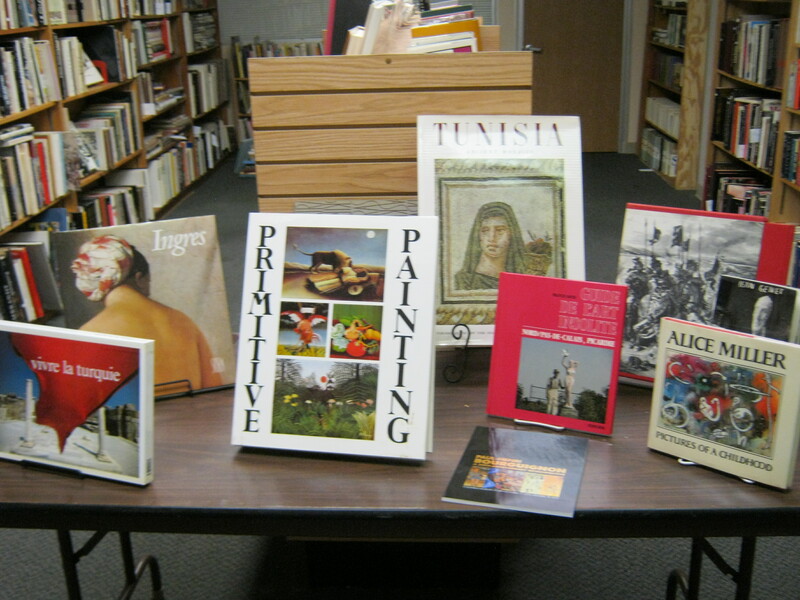 Many of the art books come from a collection owned by deceased Columbus artist Paul-Henri Bourguignon. In the next room on the left are a number of books covering the cultures and literature of every part of the world. There is an extensive section on cultural anthropology that come from the owner’s own collection (he taught as a faculty member in the area of cultural anthropology and also women’s studies for many years). This area also has books from the collection of Erika Bourguignon, an Ohio State professor in anthropology and folklore studies. This room includes a seating area which is used for author signings/readings and other book group gatherings. Off of this room is “The Outdoor Room” which includes sections on nature and sports. 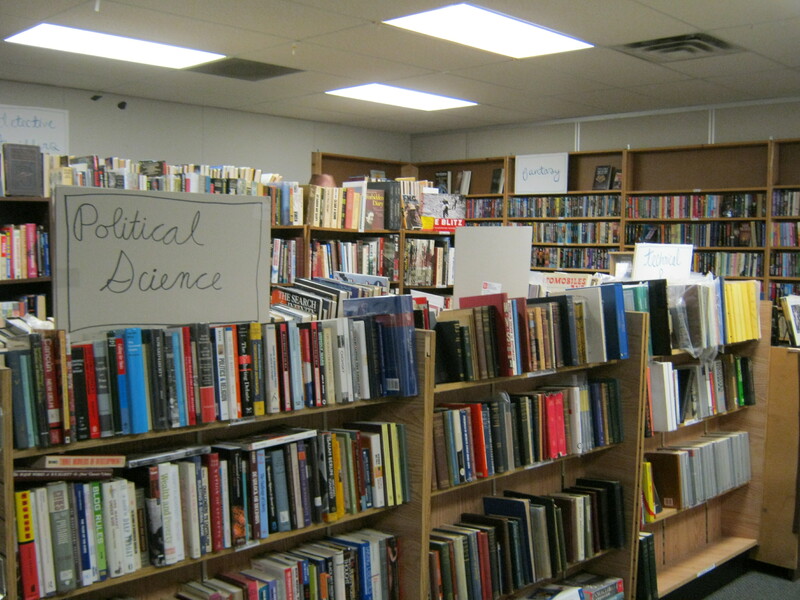 Across the hall from this room is the main showroom areas featuring various genres of fiction including mysteries, fantasy and science fiction, classical literature as well as non-fiction genres from poltical science to auto repair. Toward the front of the store one finds an extensive antiquarian section as well as an area inside the front windows dedicated to children’s literature. Off to one corner near the front, there was even a section for “Bibliophiles and Bibliophilia”! The store first opened in 2006 under the ownership of Elizabeth Svendsen. Lawrence Hammar took over ownership of the store in 2011, adding his own extensive collection of books to its inventory of over 50,000 books. Because of the specialized and academic nature of many of the works in this store, roughly one-third of the store’s sales are online. 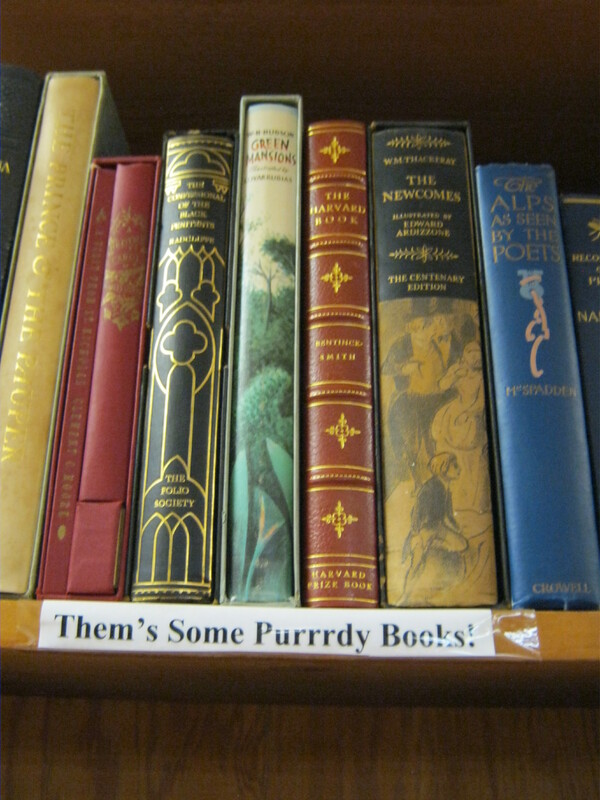 The store does buy books and collections although at the present time (July 2015) they are not buying books due their recent acquisition of Midwest Americana. First time purchasers are given a bookmark offering them a fifty percent discount on future purchases of five or more books at a time. The owner represented to me the quintessential independent book store owner. He loves books, knows his inventory, and can readily direct one to books in his or her area of interest. He even recommended a mystery author I’ve not heard of, James Lee Burke, and I walked away with one of his books, The Lost Get-Back Boogie. He loves to host authors for book-signings and readings and welcomes book groups for special tours of the store. And soon, it will get even better as his wife opens The Table of Contents Cafe next door. If you are interested in making a day of book store crawling in this area, after visiting Blue Jacket Books, you can head north on U.S. Route 68 for about 10 miles to Yellow Springs to visit two other book shops: Epic Book Shop and Dark Star Books (reviewed here last year). Make sure to head north after visiting these stores to Young’s Dairy for some good ice cream! 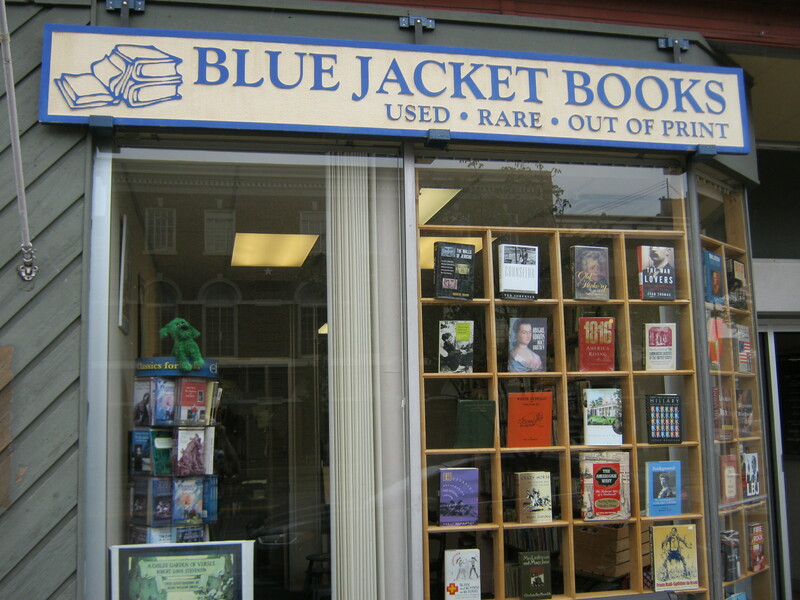 Blue Jacket Books is located at 30 S. Detroit Street, Xenia, OH 45385 and their phone is 937-376-3522. You may also order online from their website, although only a fraction of their books appear online. Best bet if you are looking for a particular book is to call the store. They will be happy to help! Very interesting to read that you were in Xenia, where I was born. It was very nearly completely destroyed by a massive Tornado in 1974. The home where we had lived before moving to Youngstown, as well as the church, was pretty well flattened. I am thankful that there is a thriving bookstore there for Xenia has a history of literary groups. One in particular was written about in – And Ladies of the Club by Helen Hooven Santmyer. The town is given a fictional name in the book, but it is actually about the The Woman’s Club in Xenia. My mother was a member of this literary society while we lived in Xenia in the late 40’s and early 50’s. Every year, even after we moved away, her name was included in the very small booklet listing the names of the members. My mother sent her annual $10 every year toward their scholarship fund and I gave a donation in her honor after she passed away. And, as is their custom, a book was given to the Greene County Library in her memory. Wonderful story about your mother and the inspiration for Santmyer’s novel.